Why Exeter? What Brought Irish Immigrants to Exeter? This "Historically Speaking" column appeared in the Exeter News-Letter on Friday, November 4, 2016. Immigration is fueled by factors that both push people from their country of origin and pull them toward a new one. 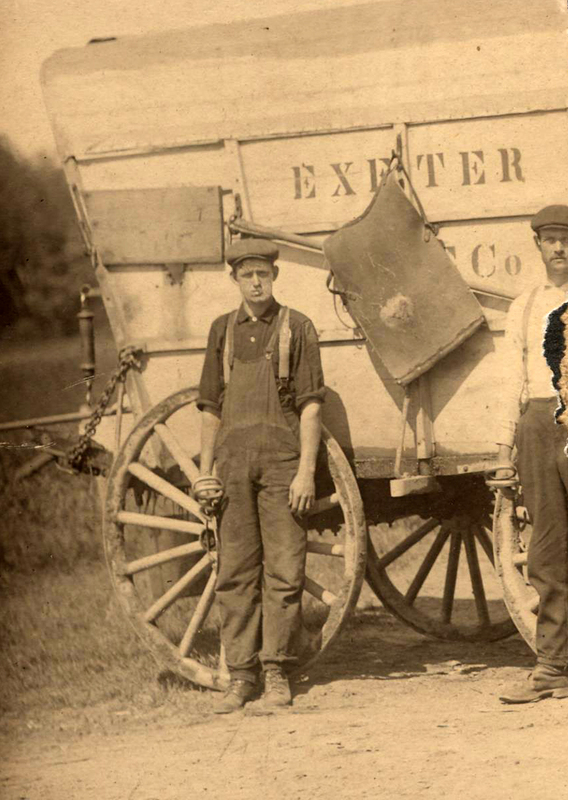 It’s easy to believe that the tremendous increase in immigration in the nineteenth century was the result of the industrial revolution, but in Exeter, that wasn’t the case until the 1890s. Before that, immigrants came for reasons that did not include factory jobs. 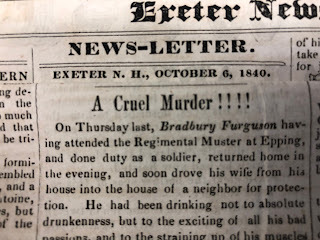 The population in Exeter remained about the same from the end of the Revolution until the 1820s, with about 1700 people in town during those years. New people arriving in town were few and rarely offset the number of people who decided to head for new farmland in the West. The economy was a mix of small farming and small industry. The town produced leather goods, printed materials and was known for carriage-making. None of these required huge numbers of workers. The Exeter Manufacturing Company – a cotton textile mill – was erected at the waterfalls in the 1830s as our first big industry. In its early years of operation, the mill tested the labor system used in Lowell and Lawrence, that of hiring local farm girls. Young women were inexpensive to employ, easily controlled and locally available. Or, so the mill owners thought. It turned out that few New England young women wanted to spend long hours in a dark mill. The system never took hold in Exeter and mill owners were forced to find labor elsewhere. At just about the same time, Ireland experienced an agricultural catastrophe that would come to be known as the Irish Potato Famine. Scores of Irish, facing possible starvation, found their way to the United States and to Exeter. It would seem logical that the mill owners would hire the new Irish residents of town, but census records show otherwise. The 1850 census put the Exeter population at 3329 with 135 foreign born residents in town. Of these, 101 people had been born in Ireland. But they weren’t working in the cotton mill. Nearly all the Irish immigrants in the 1850 census were single, with women outnumbering men. Men tended to list their occupations as “laborer” and the women were working as domestic servants. 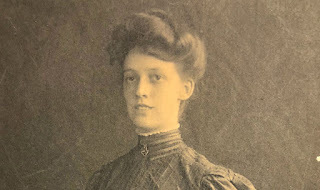 “Very few people in Exeter kept more than one servant,” Elizabeth Dow Leonard recalled of her early nineteenth century childhood, “We had Yankee help in those days and queer touch-me-nots they were. We used to import them from the rural districts where they belonged to the first families and earned money in the summer at a dollar a week to attend some seminary of learning through the winter and perhaps themselves teach the young idea.” Local ‘help’ tended to be too haughty for domestic work and the servant problem was frequently a topic of discussion. Young Irish women were more than willing to work for local families. Irish men were willing to take on whatever work was available. Many were quite used to farm labor and were quickly hired by aging farmers whose sons had gone west. 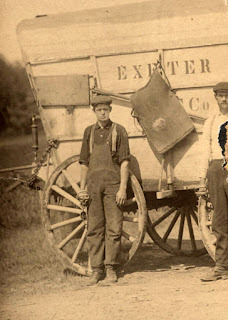 By the 1860s, when the Ireland-born population of Exeter had grown to 183, 24 men listed their occupation as unspecified labor and 14 considered themselves farm laborers. Those without skills were able to find plenty of work as long as only a strong back was required. Exeter was moving goods by both the river and railroad. The mill may have only hired a few people of Irish origin (only 3 women and 2 men listed their employment in the textile mill), but there was plenty of work hauling, loading and building. The wool industry needed men to work as ‘wool pullers’, an occupation listed by 11 men of Irish origin. Wool pulling was a catch-all description of any job involved in the processing of raw wool; sorting, grading, hauling or even shearing from pelts. It was hard work, but it was work. Jobs inside the mill were monopolized by native New Englanders and skilled workers from England. It would take several decades for the Irish to fully integrate into New England mills. Like most immigrants, they took the only jobs offered to them when they first arrived. Within twenty years, by 1870, the Irish began to integrate into the town’s native born population. A Roman Catholic church was erected in 1868. The period following the Civil War brought with it an increase in the town’s industrial growth. The need for labor would be acute by the late 1880s and 90s. When newer immigrants from Quebec, Germany, Poland and Lithuania arrived at the end of the century, the town was more prepared for the newcomers. This time, it was the lure of jobs that brought immigrants to town and mill owners were less discriminating about country of origin. Barbara Rimkunas is curator of the Exeter Historical Society. Her column appears every other Friday and she may be reached at info@exeterhistory.org. Photo: In Exeter, Irish immigrants began arriving in the late 1840s. Although workers were needed for the cotton mill, Irish immigrants were not immediately welcome and worked instead as domestics or laborers. Pictured is Edward Graney Jr., who worked for the Anderson Coal Company delivering coal and ice.